Last weekend David and I went to the EVMCO concert at the Mesa Arts Center. It was an incredible concert and I'm not just blowing smoke here. I have been to (and performed in) countless choir concerts over the years while in junior high and high school, summer programs, two years of vocal performance in college and two more years of choir and music performances in college and I can honestly say that most of those concerts are BORING. Choir concerts are generally attended out of duty to family or friends but this concert was amazing. I had chills all over my body and tears in my eyes during the entire concert. As we watched the concert of about 400 people I couldn't help but notice how the concert hall was way too small for this group. They had singers overflowing off the stage and standing up the rows to make room. Near the end of the concert, they made an mind-blowing announcement. They will be building a state of the art, world-class concert hall in downtown Mesa so that this amazing group can perform. I audibly gasped and couldn't believe what I was hearing. This is HUGE! 1. This project came to be out of grief for the loss of a baby. Christi Worsley (she and her husband are funding the project) told about how her daughter had given birth to a stillborn baby who, as she held her newborn said "I never got to hear his song". She wondered "How do you heal a young mother's broken heart?" and as her daughter sang in the EVMCO choir she did just that. She said that singing guided her through the process of grief. I love this because I know personally how music can heal the soul. 2. 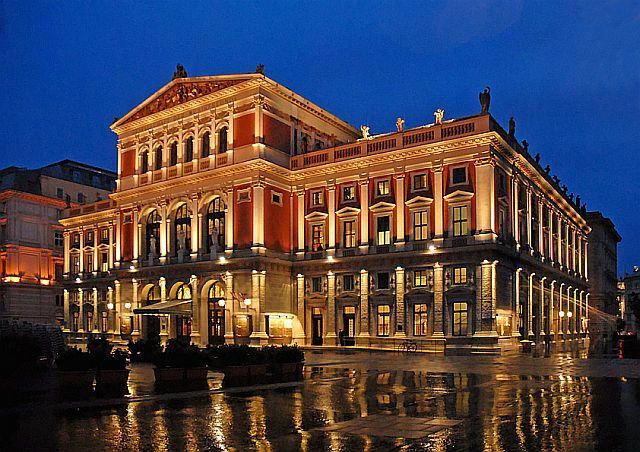 The style of the concert hall will be in a European, neo-classical style. Personally this excites me to no end because I am so incredibly sick of the modern and/or brown buildings here in the Phoenix valley. Christi Worsley said, "When I visited with the Architect about the vision of Consolari I told him it had to be transcendent, that we must be able to feel heaven touching earth. That was a big challenge as I did not describe the physical look but the spiritual look. The windows are prominent to show the beautiful night time sky here in Arizona and to allow a view of the stars. If you look closely the chandelier is made up of angels and trumpets. The colors in the hall will promote the peace we are looking for. The choral loft will be one of the largest in the world as well as a world class, state of the art recording studio for larger ensembles to record." How exciting is that? 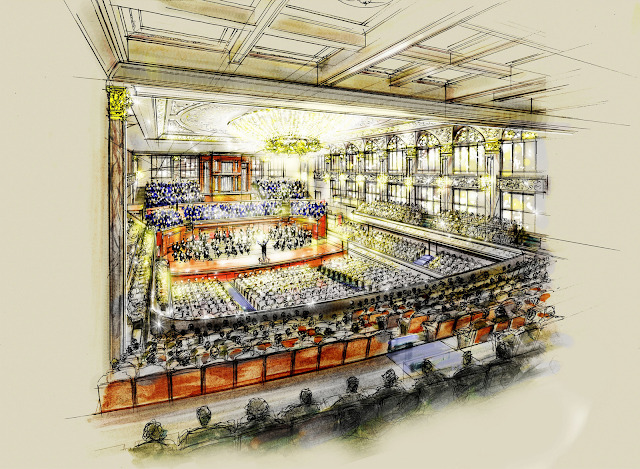 a rendering of the interior of the hall - I am so excited! 3. Not only is this going to be a concert hall but also a conservatory for musicians. They're currently talking with Julliard and Eastman to establish a program within the concert hall. I love this because it's so much more than performances. In today's world where school music programs are being cut left and right, it makes me happy to hear that there will be opportunities for children and youth to gain exceptional music training in this area, especially because I think there's a great need for it with the talent here. 4. The concept of "music heals the soul" is the entire base of this project and they're keeping with that by having a rose garden "in memory of the children that didn't get a chance to sing their song". You can plant a rose bush in memory of your child which I think is an incredibly beautiful thing. Christi Worsley mentioned that this idea came from the song "Come to My Garden" from the Broadway musical "The Secret Garden". When I read that, I just started crying. If you've heard that song, you know what I'm talking about. I am so glad that there are people who see the value of having a concert hall like this so that many can enjoy and be edified by beautiful music. Consolari is planned to be completed by December 2017 and I cannot wait! You can read more about the plans here and like it on Facebook here. How exciting! Nothin' beats a good choir performance. I soooooo badly wanted to take you girls to see the Harborlites perform. They are the Sweet Adelines choir that my Aunt sings in in OC. They have won internationals more times than I can count and every time I hear them I'm blown away. Let's go sometime...mmmmmkay. Music REALLY can be one of the most spiritual experiences we can have! It was a wonderful concert & I too am excited for the concert hall! Amazing stuff! Now my 12 yo daughter also wants to be involved in the choirs too! It was an amazing concert - even from the very top row where we sat on Saturday night! I would have loved to have been down on the floor to get the full flavor & sound of the choir! Looking forward to the concert hall, and my daughter, age 12, wants to be a part of the choir ! Of course, I would love to also, but I have other things going on right now that prevent it! What a beautiful concert hall! Byron and I definitely need to take the time to see more live music. I agree-- it can be such an absolutely amazing experience, especially when done right.